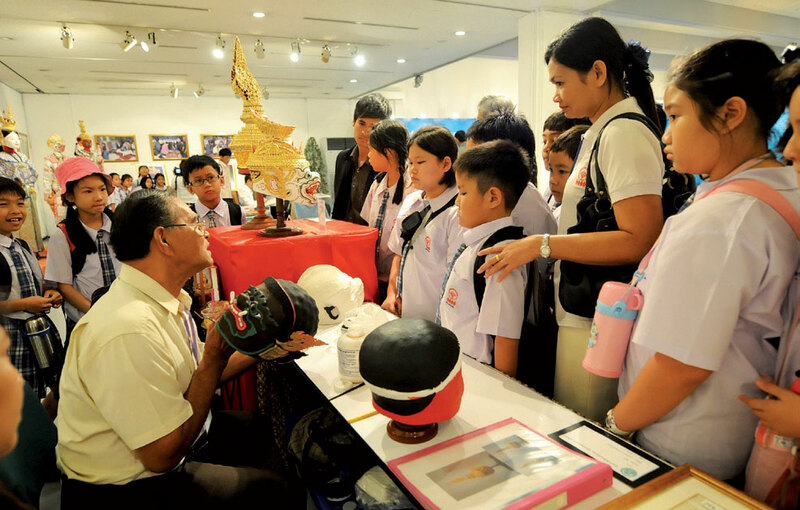 What is Intangible Cultural Heritage in Thailand? The intangible cultural heritage in Thailand has been shaped by the definition of “Intangible Cultural Heritage” contained within the UNESCO Convention for the Safeguarding of Intangible Cultural Heritage. The intangible cultural heritage means the practices, representations, expressions, knowledge, skills – as well as the instruments, objects, artefacts and cultural spaces associated therewith – that communities, groups and, in some cases, individuals recognize as part of their cultural heritage. This intangible cultural heritage, transmitted from generation to generation, is constantly recreated by communities and groups in response to their environment, their interaction with nature and their history, and provides them with a sense of identity and continuity, thus promoting respect for cultural diversity and human creativity. "Performing arts" The performing arts range from music, dance and theatre; traditionally, elaborately and/or contemporarily performed in front of a live audience with the intention of creating aesthetics, entertainment and/or performances which stimulate the process of critical thinking leading to development and social changes. These are the skills and knowledge involved in craftsmanship, in selecting materials and methods to create crafts which reflect the identities and socio-cultural development within their own communities. It is transmitted in the folk way of living by word of mouth and written language. This is the art of fighting for entertainment or recreational purposes, to develop the physical and mental qualities, all of which reflects the way of life, society and identity of the Thai community. These are habitual activities that structure the lives of communities shared by and relevant to their members. They reaffirm the identity of those who practise them as a cultural group in a peaceful society. They include knowledge, know-how, skills, practices and representations developed by communities by interacting with the natural and supernatural environment. Language is a tool for communication that enables humans to express their lifestyles reflecting worldview, wisdom and culture of each community depending on whether the language is spoken, signed, or written. The Department of Cultural Promotion, Ministry of Culture, responsible for undertaking cultural research, conservation, promotion, dissemination, restoration, and development, particularly with regard to folk culture, has laid down policies, strategies, and measures and organized various projects and activities to fulfill its mission. Since 2005, much work has been carried out on Intangible Cultural Heritage and its safeguarding. Community participation is focused in the identification and inventorying of Intangible Cultural Heritage, data collection, organization and management, and hands-on experience in preparing field work. In 2010, the inventory-making of Intangible Cultural Heritage at the provincial level in 4 domains namely Performing Arts, Traditional Craftsmanship, Folk Literature and Folk Games and Sports were taken on as a pilot project. The establishment of an inventory of Intangible Cultural Heritage is determined to be a major task of the Department of Cultural Promotion to ensure adequate safeguarding. It must be best carried out as primary sources and community participation for the sake of cultural pride. Safeguarding our own Intangible Cultural Heritage both at the local and national levels can make an essential contribution to knowledge, understanding, appreciation and acceptance of cultural diversity and peaceful co-existence. Copyright © 2019 มรดกภูมิปัญญาทางวัฒนธรรม - Intangible Cultural Heritage. All Rights Reserved.